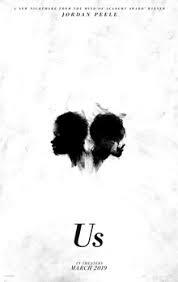 Academy Award winning writer/director Jordan Peele (Get Out) returns to deliver a new, original horror film with Us starring Lupita Nyong’o (Non-Stop) and Winston Duke (Black Panther). Filled with self-referential images and packed with subtext and meaning, Peele crams this thriller with a lot of extra weight to bear. Some viewers will marvel at the complex multi-level narrative and the social commentary. Others will wonder why it isn’t scarier.